Tonight will be the first swimming session of the 2019 B1G Men’s Championships, featuring the 200 medley relay and the 800 free relay. IU has been 1:25.25 in the 200 medley this year, just ahead of conference rivals Michigan (1:25.60), with no other team having been under 1:26. The Hoosiers also lead the conference in the 800 free relay (6:17.78), a second ahead of Michigan (6:18.79). It’ll come to a boiling point tonight. 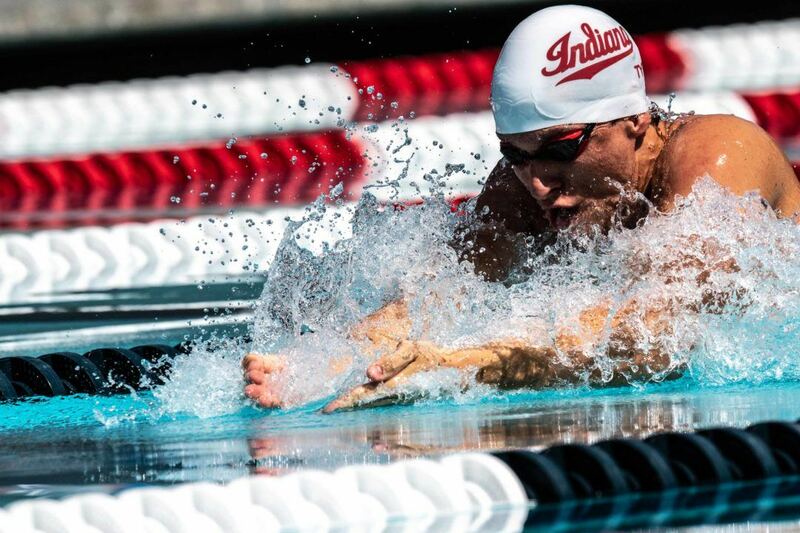 Last year, Indiana’s Ian Finnerty impressed with a 23.50 medley relay split on breaststroke followed by anchoring IU’s 800 relay in 1:33.31 as both relays took wins– not many breaststrokers can do that (and, conversely, not many mid-distance freestylers can split a 23.50 breaststroke leg). Don’t let the Indiana/Michigan battle keep you completely engaged, though. Minnesota has a sneaky good medley relay thanks to freshman breaststroker Max McHugh, who unleashed the quickest medley relay split ever this season at 22.51 (albeit on a DQ’d relay), and fastest pure sprinter in the conference, Bowe Becker. Meanwhile, Ohio State is typically very strong at this meet and consistently underappreciated (plus they’re the only team with swimmers in the conference’s 200 free top 12 rankings other than Michigan and Indiana), Wisconsin and Northwestern have new coaching staffs and have already looked strong this season and at the women’s champs, and Iowa has a pretty concrete sprint group to watch. Finally, while this isn’t DiveDove, the diving in this conference is exceptional and worth some acknowledgement. At last year’s NCAA Championships, the conference had at least one person top 3 and two people top 8 in all three diving events, while B1G went 1-2-3 in the 1-meter. Indiana in particular had three A-finalists in the 1-meter and Purdue’s Steele Johnson won the 3-meter. Other than IU and Purdue’s incredible diving groups, Minnesota’s Nick Yang and Penn State’s Hector Garcia are expected to (not) make a splash, too. Michigan had its fastest 200 medley relay at a B1G Champs ever tonight, clocking a 1:22.76 to beat Indiana by half a second and break their own meet record from 2013. Alex King led off in 21.33, followed by Will Chan, a freshman in 23.11, while Indiana was ahead thanks to a 20.98 lead-off from Gabriel Fantoni and a 23.03 breast leg from Ian Finnerty. The back-half was where Michigan made its push, as Miles Smachlo was 19.92 on fly and Gus Borges dropped a huge 18.40. 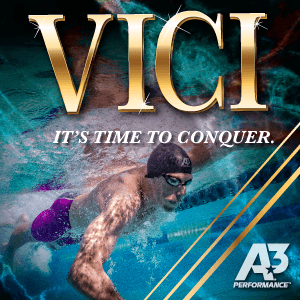 Vini Lanza was 20.31 fly for IU, with Bruno Blaskovic anchoring at 19.00. OSU posted a 1:24.16 for 3rd, with Purdue (1:24.53) and Minnesota (1:24.62) not far behind. OSU’s Michael Salazar was 19.90 for the quickest fly split in the field, and anchor Mossimo Chavez had a quick 18.96, while Purdue had an 18.90 anchor from freshman Nikola Acin. 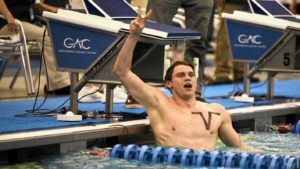 For Minnesota, freshman Max McHugh was 22.98 on the breast split, a field best, while Bowe Becker anchored an 18.74. Michigan, IU, OSU, and Purdue all notched NCAA ‘A’ cuts. Six of ten teams had sub-19 second anchor legs, as Penn State’s Gabriel Castano (18.80) and Iowa’s Joseph Myhre (18.86) had great closing speed in addition to Becker, Acin, Chavez, and Borges. Notably, Northwestern jumped from a 9th place finish in 2018 to a 6th place finish tonight (1:25.61), getting a 21.57 lead-off from freshman Ryan Gridley and a 19.36 anchor from freshman Andrew Zhang. After Michigan took the medley, Indiana snapped back with a big win in the 800 free relay. Things were tight to start off the race, with OSU’s Andrew Loy jumping out to the lead (1:32.75) over Indiana’s Mohamed Samy (1:33.36) and Michigan’s Patrick Callan (1:33.54). Indiana moved up, though, with Vini Lanza‘s 1:32.45 2nd leg getting just ahead of OSU freshman Ruslan Gaziev (1:33.33), as Michigan still sat in 3rd after Charlie Swanson‘s 1:33.61. IU shot into the lead as third leg Zach Apple was out in 43.23, closing up with a 1:31.76 split, and Finnerty was again the anchor (like last year) with a 1:33.45. 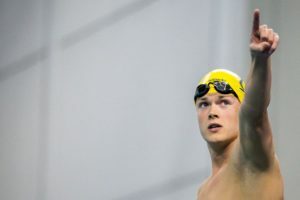 Michigan moved into the lead with a 1:33.56 split from Tommy Cope, as compared to OSU’s 1:35.97 from distance specialist Nick Hogsed, while Felix Auboeck anchored for Michigan in 1:32.45. Notably, the fastest split in the field was Buckeye anchor Paul Delakis (1:31.39), who couldn’t quite do enough to reel in Michigan. After finishing just 8th in the 200 medley relay, Wisconsin roared back with a 4th place finish at 6:22.86, just ahead of Minnesota by a hundredth (6:22.87) and Iowa by just a bit more (6:23.07). Wisconsin had a 1:34.36 split from Griffin Back while Nicholas Saulnier had a big 1:33.70 split for Minnesota. I bet the pas was incorrect. Top level swimmers don’t have .78 relay reaction times. This is literally how the meme began. Can’t believe we’re still calling it a meme. It’s a law of physics at this point. Just a little threshold 200 after his 50 back warmup. The other 3 have been 1:30 of better. I thought Reilman’s best was 1:32 low. He’ll need to drop at least 1-2 secs to be with them. Do not confuse with fact!